» The World’s Best Coastal Hikes You Don’t Want to Miss! The World’s Best Coastal Hikes You Don’t Want to Miss! Hiking in vast, open landscapes, over high passes, and in the shadow of towering mountains undoubtedly has its merits, but we here at All Outdoors Guide like to mix things up a little now and then by taking our trails with a side of sea, sun, sand, and epic coastal scenery. There are plenty of outstanding coastal trails out there that are more than a match for their mountainous brethren in terms of challenge, scenery, and thrill, and in this article, we’re going to take a look at the most unmissable of them with our guide to the twenty best coastal hikes in the world. You might not find snow-capped peaks and alpine meadows, but instead, you’ll have epic seascapes, dramatic cliffs, and gorgeous beaches. From ancient coastal forests, rolling dunes, and wide sandy beaches to rocky, airy promontories and tidal crossings, coastal hikes throw in a lot more variety than your standard mud-and-rock mountain path! Coastal birds, porpoises, whales, seals, otters, and dolphins are just some of the majestic marine critters you might come across while wandering the world’s wildest coastlines. Pitching your atop a lonely dune or on some craggy promontory overlooking the ocean and miles of coastline kissed by the rays of sunset has to rank high on the must-do list of any aesthetically inclined traveler. While we all love a plate or two or gruel or oats or improvising a meal with a few out-of-date energy bars and a handful or two of granola on the side, many coastal trails around the world spare us the bother of even opening the package or getting out our cooking kit by offering a wealth of trailside feeding stations (restaurants, taverns, fish and chip “shops”) where we can enjoy some of the freshest and tastiest seafood anywhere in the world. Not yet convinced? We’ll ask you again once you’ve taken a look at the following…! At only eleven miles in length, many experienced hikers might be prone to think that Hawaii’s Kalalau Trail a bit of a pushover and lacking the element of challenge or the diversity of scenery found on longer trails. They would, we can assure you, be categorically wrong. This route packs a whole lot of awe-inspiring views and unique landscapes into its comparatively modest length, from lush forest and craggy headlands to rocky inlets and peerlessly pretty beaches. 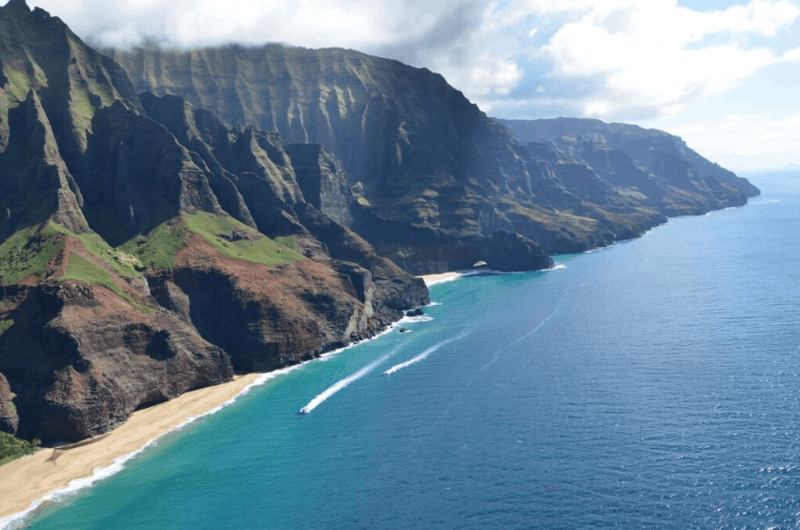 Located on Hawaii’s island of Kauai, the trail begins on Ke’e Beach and traverses a narrow stretch of track carved out of the high coastal cliffs on the Na Pali Coast all the way to Kalalau Beach. Along the way, it passes through dense forest, exposed clifftops, and a handful of paradisaical bays. The trail is the only means of access to the Na Pali Coast, so the route is pleasingly quiet, and the reward for your efforts is a night (or two!) on one of Hawaii’s most remote and unfrequented beaches—the simply majestic Kalalau, where you can kick back, cool off, and soothe your trail-weary muscles with a well-earned soak in the sea. When we think of Wales, we tend to conjure images of quaint, bucolic, pastoral scenes featuring rolling hills, idyllic farmland, and inordinate amounts of sheep. While the Pembrokeshire Coastal Path plays up to these expectations in part, it’s the rest of it that’s really worth writing home about. For years this trail has been one of Britain’s best-kept secrets, so we’re delighted to be spreading the word so all our readers can enjoy what has to be one of the best trails—coastal or otherwise—anywhere in the world. 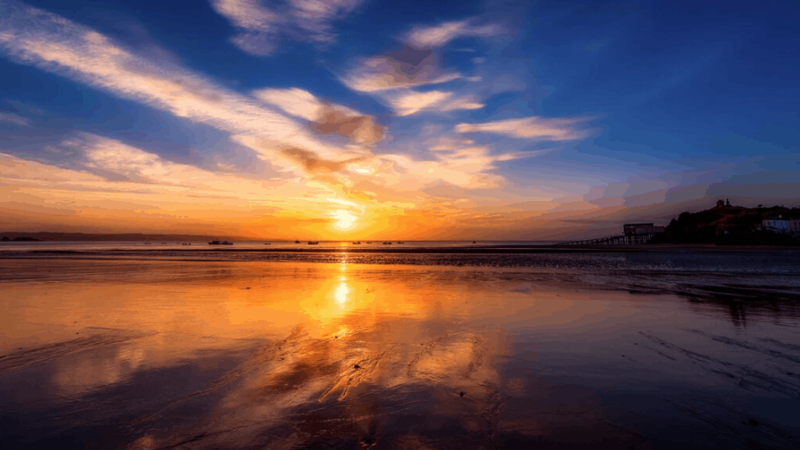 This 186-mile route takes in some of the most dramatic and picturesque landscapes the British Isles have to offer, skirting steep, exposed limestone cliffs, caves, coves, volcanic headlands, pristine golden-sanded beaches, and even a castle or two! The trail lies, barring only a few miles, completely within Pembrokeshire Coast National Park, which is home to Neolithic historical sites, a wealth of coastal flora and fauna, and dozens of idyllic coastal villages where you can stock up on supplies, grab a pint, or bunk down for the night if getting tired of your tent. And with over 35,000 feet of total ascent and descent, you’ll be more than entitled to every creature comfort you can get! 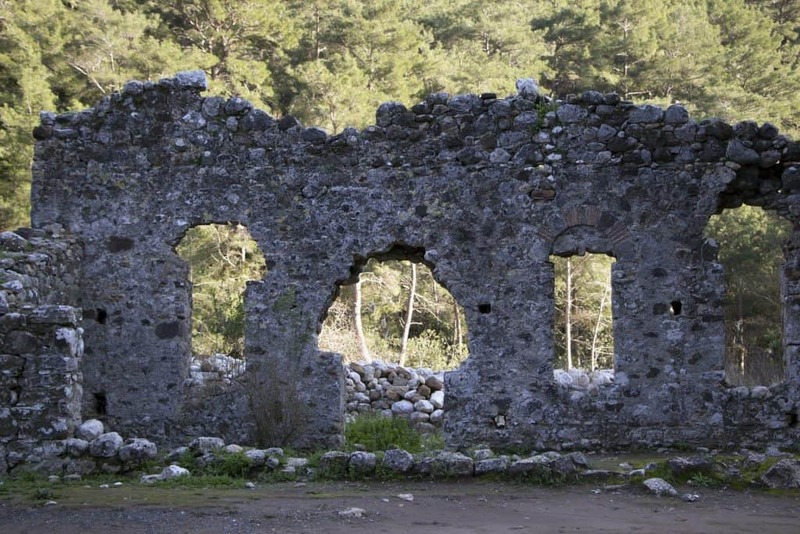 At 336 miles in length, the Lycian Way is a 3 or 4-week-long epic on Turkey’s sumptuous Mediterranean coast that, more than any other hike on our list, feels like a true walk through history. The trail is composed of ancient Roman roads and mule tracks flanking the sides of steep mountains that rise sharply from the rugged, gorgeous coastline below, and in the past decade or so has been a regular feature on top-ten lists of the world’s best hikes. There are plenty of opportunities to indulge in a touch of local culture and history along the way, with the ancient towns of Kas and Kalkan offering the best spots to rest up for a night or two and dozens of ancient Lycian and Roman sites dotting the trail from start to finish. Neither an out-and-out trekking trail nor a climbing route or via ferrata, Sardinia’s Selvaggio Blu (“Wild Blue”) combines all three in a simply thrilling, gorgeously scenic 37-mile traverse of the island’s most rugged and isolated terrain. More than any other “hike” on our list, this one presents a true challenge to its aspirants’ mettle, navigational skills, fitness, and head for heights. 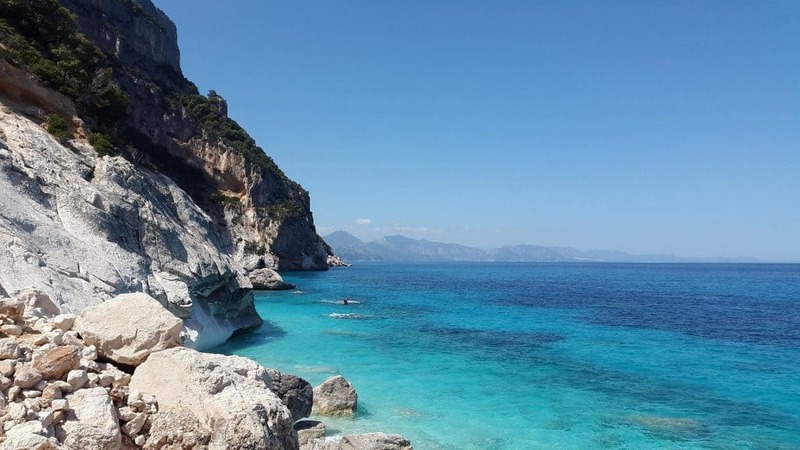 Traversing a particularly barren stretch of Sardinia’s eastern coastline, the route veers up and down steep mountainsides and limestone cliffs, wends through ancient Mediterranean pine forests, and hops between lonely beaches by way of airy connecting trails on the testy terrain above. Perhaps the toughest aspect of this trail is the temptation to just kick back on one of these pristine, secluded beaches, all of which can only be reached on foot, by abseiling down the cliffs, or by boat, meaning there’s a high chance you’ll be spending at least a night or two watching the spectacular sunsets Sardinia specializes in all on your lonesome. The trail covers some of Sardinia’s wildest terrain, regaling its aspirants with uninterrupted views of the raw limestone wonderland along the Gulf of Orosei on the island’s east coast and the ever-present azure of the Mediterranean Sea. 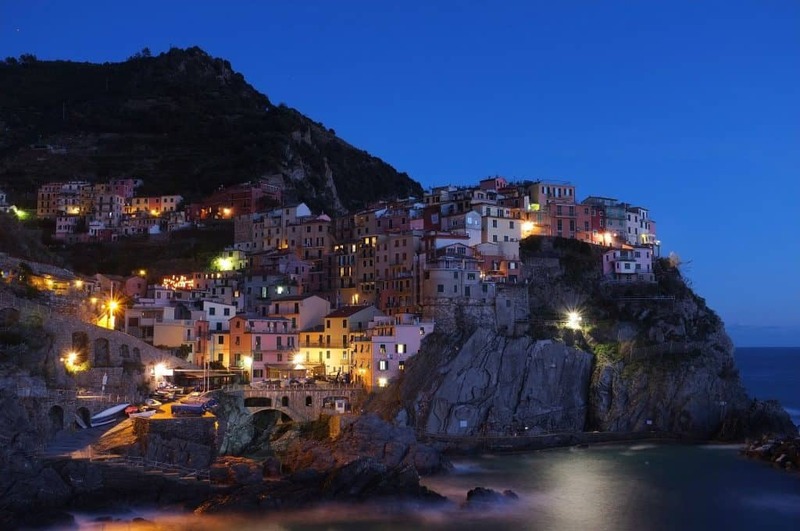 In recent years, Liguria’s Cinque Terre has become Italy’s must-see destination. Dotted along a short stretch of the Italian Riviera’s rugged limestone coastline, this 22-mile route is split into sections beginning and ending in a handful of the most outrageously picturesque coastal villages you’re ever likely to lay eyes upon. The Coastal Path connects a number of smaller trails and is the best way to evade the crowds that descend upon the villages, taking you up onto the overlooking hillsides, where things, gladly, are a little less claustrophobic, and the views of the coastline below are never anything less than sublime. The route runs from the town of Levanto in the north to Portovenere in the south, maintaining a high line through the national park’s tree-lined hills, but offers plenty of variations that descend to the seaside and a wealth of smaller coastal trails linking the area’s famed five villages: Monterosso, Vernazza, Corniglia, Manarola, and Riomaggiore. The most unmissable section of the entire route is Trail #2, “The Blue Route” (Sentiero Azzurro), which takes in all five of these villages on a very easygoing 7.5-mile stroll along what is arguably Italy’s most stunning stretch of coastline. 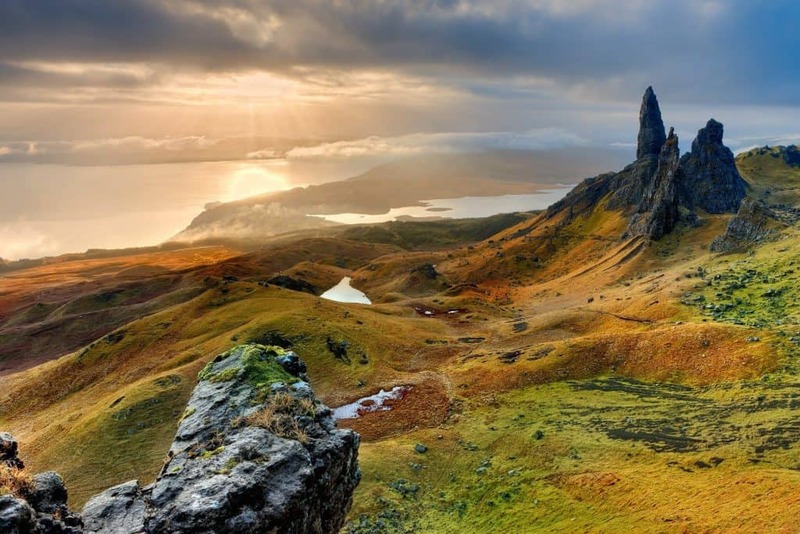 In 2014, National Geographic awarded the Isle of Skye a top-ten slot in its list of “tours of a lifetime,” and the best way to see the top sights this utterly charming little island has to offer is undoubtedly on the wild and wonderful Skye Trail. This 80-mile trail runs from the village of Broadford in the south of the island to the lonely, windswept Rubha Hunish peninsula in the north. The route is unmarked, remote, and requires not only good navigational skills but also a decent tolerance for vagaries of weather—like most parts of northern Scotland, Skye is no stranger to biblical downpours, sleet, and frigid temperatures even in summer months. This route serves up a steady feast of incredible landscapes from start to finish, from the outlandish rock formations of the Quairang and the Old Man of Storr to the wonderfully moody Cuillin Mountains and the Trotternish Ridge. As hiking destinations go, they don’t come much more unique! 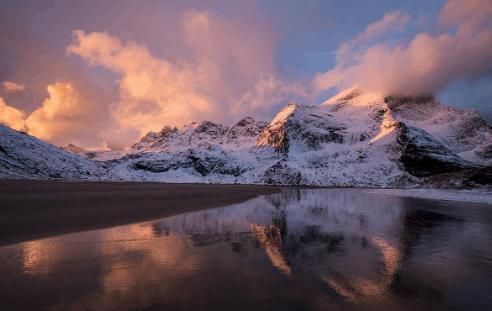 The Lofoten Archipelago is fast becoming an ever-present feature on top-ten lists of places to see before you die, for rock climbers, hikers, and ski-tourers as much as for amateur photographers and the rest of us. Getting out to this lonely trio of beaches on the northwest coast of Moskenesøya take a bit of effort, requiring a ferry ride first to Reine from the mainland and then a second ferry from Reine to Bunes Beach or Kierkefjord. Those up for the logistical challenge, however, are rewarded with something truly exquisite and unique — three Carribean-esque beaches encircled by giant, towering granite peaks that look like they’ve been plucked straight from the Karakorum or Patagonia and placed here as sentinels to these sublime national treasures. While this hike tends to be fairly busy in summer months, if you’re willing to haul in your camping gear and pitch up on the rolling dunes directly behind the shore, there’s a chance you’ll have the spot entirely to yourself, and if you happen to be there when the northern lights are in town, then you’ll be in for one of the most unique and downright surreal experiences any human can achieve without the aid of a large supply of LSD or magic mushrooms! 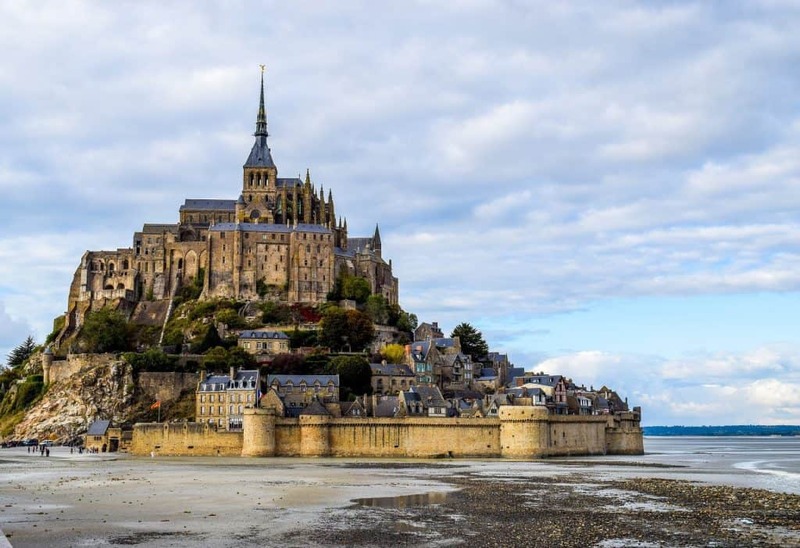 Running 360 miles from Morlaix to the hugely popular and utterly idyllic Mont-Saint-Michele, Brittany’s GR34 is a route that throws in a little bit of everything in a multi-faceted medley of culture, history, and, of course, truly exquisite coastal scenery. From towering white cliffs and sandy beaches to almost edibly cute fishing villages and sumptuous views out to the stunning Les Sept-Iles archipelago, this trail is a coastal paradise from start to finish. Most hikers take around a month to complete the trail from but, for the most part, the walking is easy-going and easily divided up into manageable sections with overnight stops in any of the plentiful bed and breakfasts strung along the coast at regular intervals. 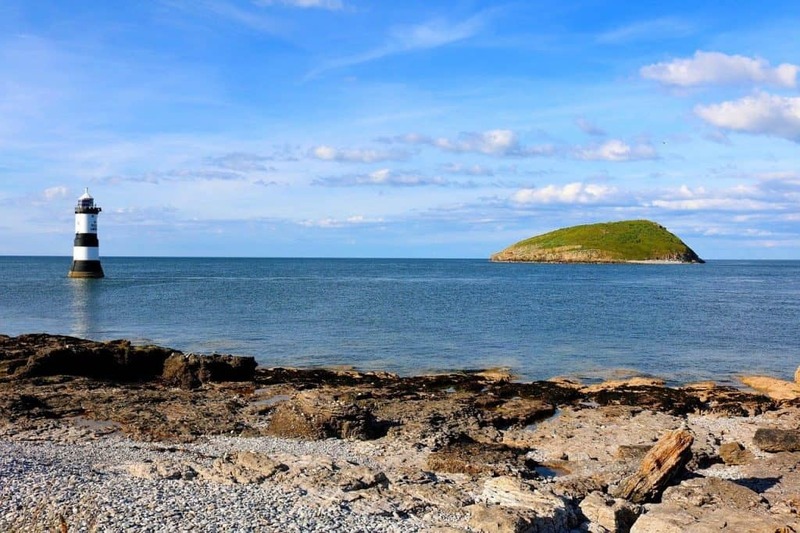 For such a small country, Wales is blessed with a whole lot of sensational coastal scenery. So much so that we felt we wouldn’t be doing our job if we didn’t include this second absolute gem of a coastal hike in our list of top coastal trails the world over. At 124 miles, the ACP is much shorter than the Pembrokeshire Coastal Path, but what it lacks in distance it makes up for in every other aspect a hiker could possibly ask for, taking in rugged cliffs, long sandy beaches, coves, rolling sand dunes, forests, and, most impressively, the giant sea arches of Bwa Gwyn and the stupendous viewpoints at Holyhead Mountain and the South Stack lighthouse. 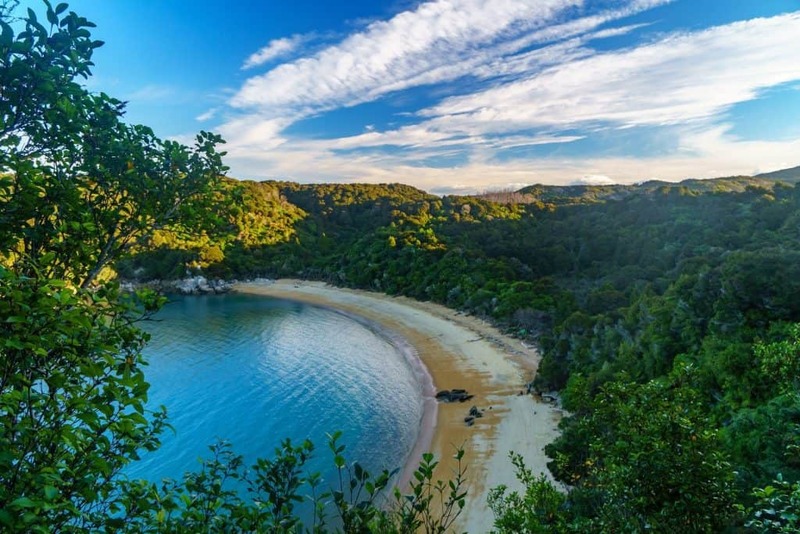 At only 31 miles in length, New Zealand’s Abel Tasman Track is one of the shorter trails on our list. But that doesn’t mean it’s one of the less exhilarating. Not at all! Most ATT hikers take two or three days to complete the route, stopping off for sleeps, most commonly, at the exquisite Watering Cove and Awaroa Bay. As this trail is listed as one of New Zealand’s Great Walks, the condition of the trail and hikers’ huts along the way, as well as the signage, is exceptional. While the route doesn’t pose too much in the way of a challenge to your fitness levels, it does involve a few steep rocky stretches and a duo of tidal crossings where you have to be spot on with your timings in order to avoid a soaking or a scary swim to safety! Wild by name and wild by nature, South Africa’s The Wild Coast Trail from Port St. Johns to Coffee Bay covers some of the most outrageously epic coastal terrain you’re ever likely to lay eyes on. The trail is unspoiled and largely undeveloped, and along the way takes in a number of idyllic, turquoise-watered beaches, rolling forested hills, and tall cliffs from which the views of this stunning segment of coastline are simply majestic. 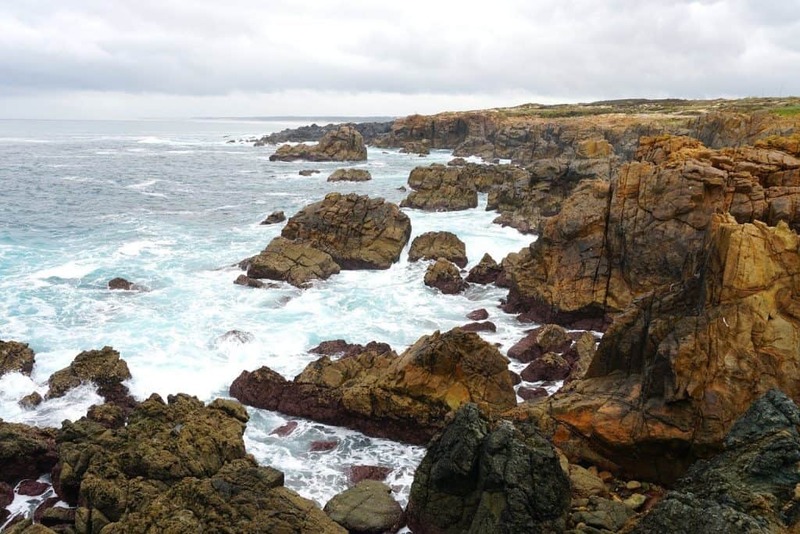 Among the highlights of this 44-mile trail are the chance to spot dolphins and whales, remote and lonely white-sand beaches, the Xhosa villages where hikers can find cheap accommodation and tasty local food, and huge cliffs which provide the perfect perch to sit yourself down and soak up the views of the wild and unspoiled coastline stretching for miles in either direction. 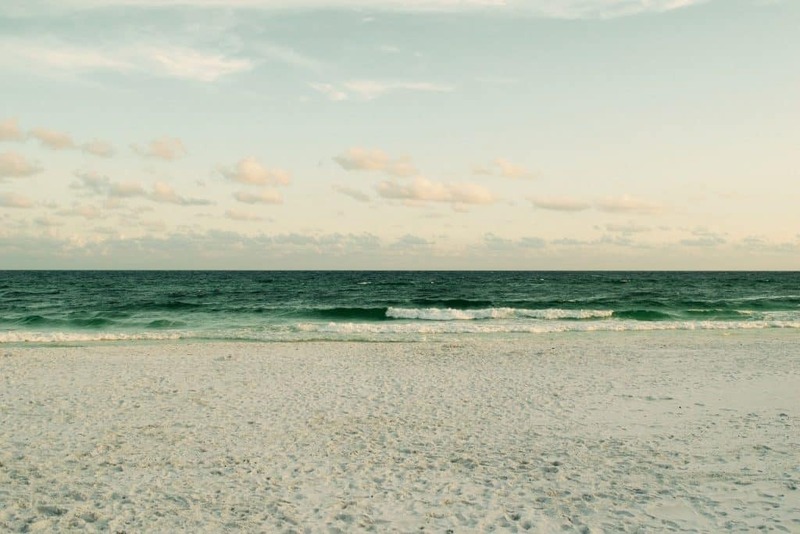 Think of the Caribbean and you’re liable to imagine white-sanded beaches, leafy palm trees, lush forests, crystal-clear waters, and a daiquiri or two awaiting your attention beneath a shaded gazebo. Hiking, most likely, doesn’t really figure too high in your expectations. But what if a hiking trail was to offer you all of the above, and, moreover, the chance to explore one of the Caribbeans most remote, tourist-free areas on a trail unlike any other anywhere else on the planet? Well, Barbuda’s West Coast Beach Trail does just that! The “trail” on this route is a single 11-mile stretch of unspoiled beach backed by a long lagoon, meaning the conditions underfoot can be a touch soft, particularly if carrying a heavy backpack. The environment in which those feet will be walking, however, is utterly magical every step of the way and more than makes up for the hardship! Accessible only on foot or by boat, this area feels a million miles away from the tourist hotspots on the Carribean’s other islands and feeling like some modern-day Robinson Crusoe or Tom Hanks in Castaway while wandering this sublime stretch of earthbound heaven is very easily done. If you happen to catch yourself entertaining thoughts of missing your flight home and taking up the role full-time, we wouldn’t blame you! Washington State’s Olympic National Forest has simply too many more-than-wander-worthy trails in its 250-mile network for us to choose just one. To avoid the risk of advising you to miss any section out, therefore, we’re lumping them all together and including a strong recommendation that you use up all of your vacation days and walk every single one! Each route in the park offers something a little bit different, but all of them are remarkably wild, rugged, and once-in-a-lifetime kinda wonderful. If you’re short on time, the most unmissable route of the bunch has to be the aptly named Wilderness Coast hike, which covers 73 miles of some of the most rugged and—you guessed it—truly wild terrain anywhere in the world. Portugal’s Alentejo region feels a different planet from the tourist hubs of the Algarve to the south and Lisbon to the north, and never more so than on the utterly gorgeous terrain of the Fishermen’s Trail (Rota Vicentina). Suitable for walking all year round, the Rota Vicentina boasts roughly 270 miles of trails in total, but its best section is undoubtedly the sixty-mile track through the Vicentina Coast Park, where the wild headlands of the Alentejo coast never cease to offer up some of the most exquisite coastal scenery the world over. In addition to the vast stretches of golden beach secluded by towering coral cliffs, the trail is dotted with stunning wildflowers, huge sand dunes, and plenty of traditional tabernas (taverns) serving up some of the best, freshly caught seafood in the world. A coastal hike in Patagonia? Are you serious? You’d better believe it! Chile’s southernmost tip is one of one of the country’s least-visited regions and one of the most overlooked areas in Patagonia as a whole. While that makes this trek a touch trickier in terms of logistics, it also means it’s one of the most remote, unspoiled areas anywhere in the Americas. 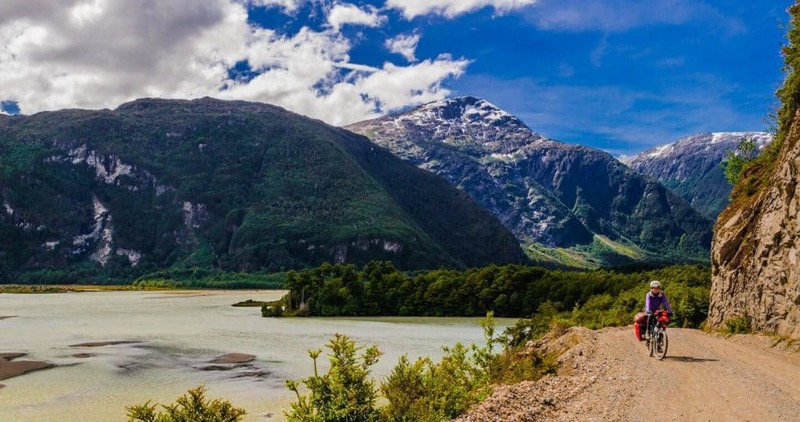 While the Carretera itself is in fact an 800-mile road running from Puerto Mont down to Villa O’Higgins, it can either be hiked in full by exceptionally hardy and intrepid explorers or its roadside villages used as a series of basecamps for forays onto the region’s simply outstanding array of epic hiking routes. Some of the must-see spectacles along the route include the fjords of Pumalin Park, the Queulat Glacier and National Park, the Futaleufú River, the countless pointy peaks and glacier of Cerro Castillo, the Marble Caves at Lago General Carrera, the Exploradores Glacier in Laguna San Rafael National Park, and the huge O’Higgins Glacier and El Chaltén in Villa O’Higgins. At 1,700 miles in length, Ireland’s Wild Atlantic Way is the longest signed coastal route in the world. 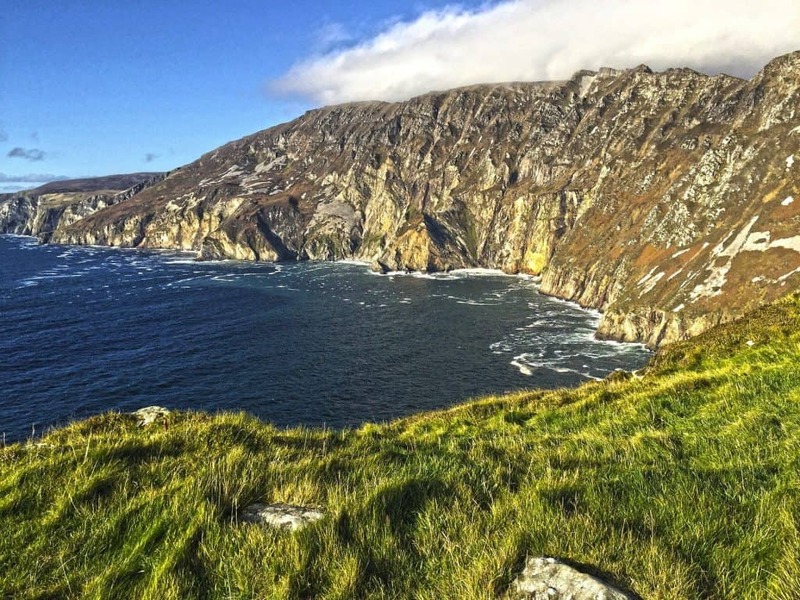 It passes through no fewer than nine counties in total, starting off in the north-western county of Donegal (named the ‘Coolest Place on the Planet for 2017’ by National Geographic Traveller) and weaving its way steadily down to Kinsale in the south. On the way it takes in some of the tallest coastal cliffs in all of Europe (including the 2,000-foot high Slieve League Cliffs), a series of steep and stiff climbs, barren coastal wildlands, rocky promontories, long, unspoiled beaches, half a dozen lighthouses, and the sort of seascapes that make you wonder why you ever bothered with all that mountain business in the first place! 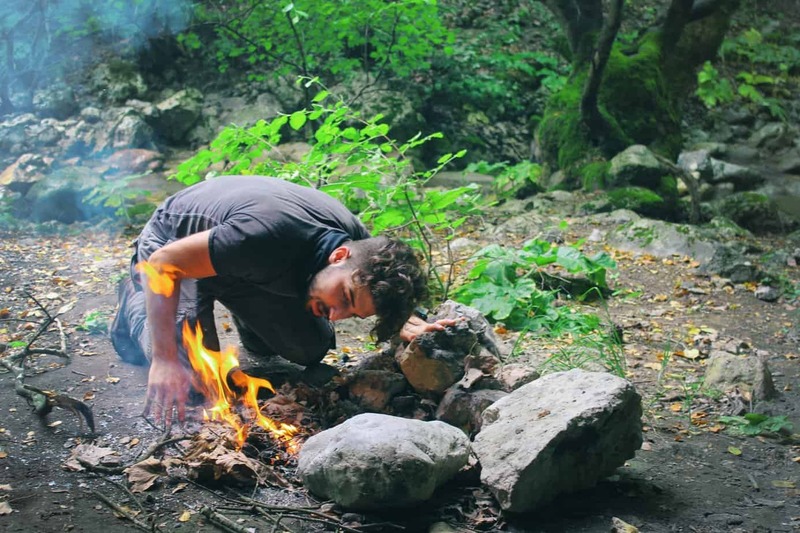 If savage, raw beauty is your thing, this is the hike for you! The very abridged Italian classic may only run 5.5 miles in length, but in that short distance it offers up as much awesome scenery as many other trails that are ten or even twenty times as long. The Amalfi coast has long been recognized as one of the more resplendent jewels in Italy’s jewel-studded crown, and “The Path of the Gods” takes in the absolute best of it, with each step of the way offering sweeping views over airy cliffs out to the sparkling Mediterranean sea and clusters of tiny medieval villages clinging to the flanks of the forested mountainside rising steeply from the shores below. Few trails in North America cover terrain quite so pristine, unspoiled, and altogether wild as Vancouver Island’s West Coast Trail. At just 47 miles, this route is by no means Odyssean, but the fact that most of its hikers take five to seven days to complete the route tells an entirely different story—one, we should point out, that gives a far more accurate reflection of what the route entails. Skirting a long, wild, lonely stretch of coastline in the Pachena Bay-Gordon River area, this trail throws in a lot of ascent and descent, a few tidal crossings and river crossings, very rough terrain, and has no shelter or facilities from start to finish. 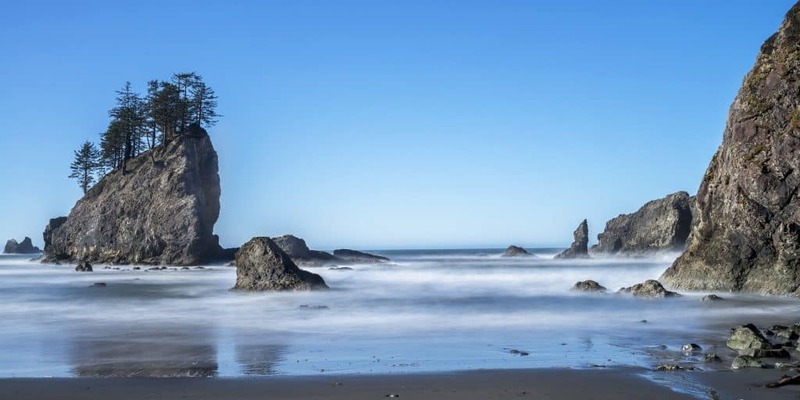 If you like your hiking to be tough, wild, and jam-packed with stunning scenery and wildlife, including old-growth forest, unblemished beaches, caves, coves, towering cliffs and maybe even the odd whale, sea lion, or wolf, then the WCT should be sitting somewhere very near the top of your to-do list! Hong Kong has never exactly been famous for its stellar outdoor scene. 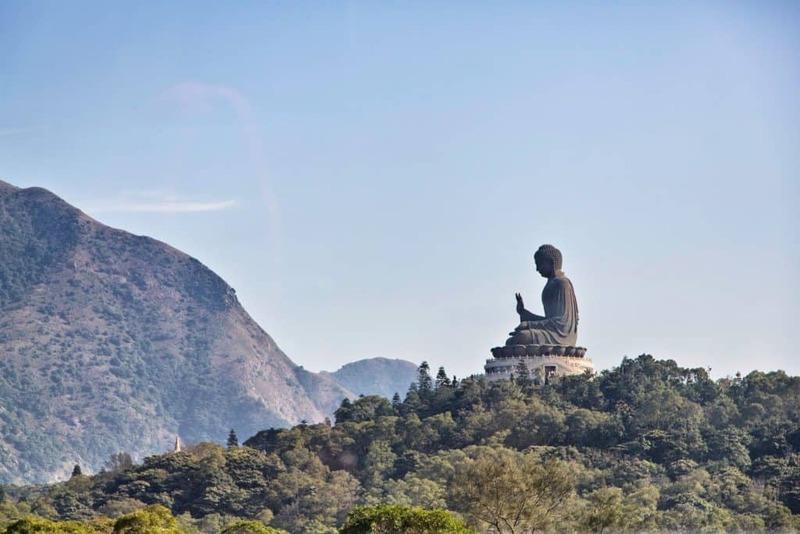 In the Lantau Trail, however, it defies its own stereotype with a 43-mile slice of coastal hiking heaven that’s as good as any you’ll find just about anywhere else in the world. This is an easygoing trail that begins just a short train or ferry ride from the center of Hong Kong Island but takes you into another world entirely on the wonderfully bucolic Lantau Island. The trail itself starts and finishes in Mui Wo and passes numerous temples, stunning beaches, quaint fishing villages and leafy, florid gardens on its way around the island. Established in 1868, the Western Cape’s Otter Trail is the oldest hiking trail in South Africa. And it’s got a lot more going for it than age alone. Running just 25 miles in length, most hikers on this trail usually take three or four days owing to the trail’s strenuous nature and the wealth of stupendous scenery that make going in anything like a hurry something of a sin. 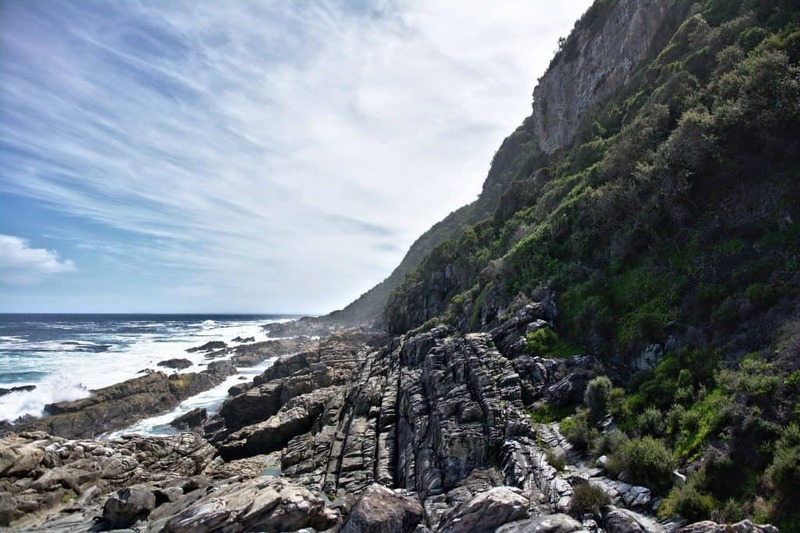 Running from Storms River Mouth in the east to Nature’s Valley in the west, this fascinating route is located entirely within the Tsitsikamma National Park and threads its way along the coastline between steep, densely forested coastal mountains and the alternately rocky and sandy shores. Among the highlights of the route are the flora and fauna, with monkeys, baboons, genets, bush pigs, unique birdlife, and an abundance of wildflowers all contributing to the magic of this already mind-blowingly magical trail. Best Hiking in Colorado – Hikes You Don’t Want Miss! The 20 Best Hiking Trails in Europe That You’ll Absolutely Love!